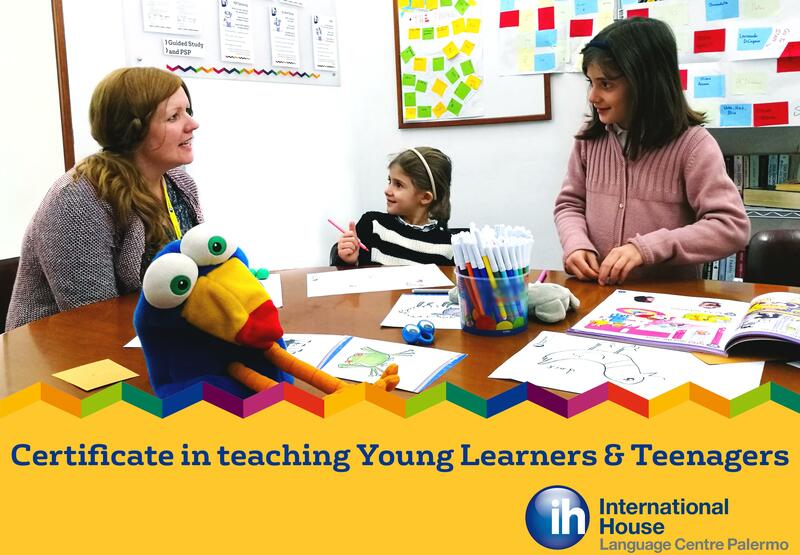 The International House Certificate in teaching Younger Learners and Teenagers (IH CYLT) is a teacher training course and certificate which is designed to prepare Course Participants (CPs) to teach English as a foreign or an additional language (EFL/EAL) to children between 3 and 16 years old. The IH CYLT course is for those teachers wanting to develop their young learner teaching skills and receive an internationally recognised qualification (endorsed by Cambridge Assessment English). It is now available to non-CELTA teachers as well as CELTA qualified teachers. Participants would normally be experienced YL teachers who would like further training and an opportunity to reflect on this area or qualified language teachers who find themselves needing to teach young learners. The objective of the course is to introduce course participants to the principles involved in teaching Young Learners (YLs) and Teenagers, and to help them consider, evaluate and develop their own teaching skills in this area. Input sessions: covering areas such as Child Development, Clarifying and Practising Language, L1 in the classroom, Teaching Adolescents, Material Design and Selection. Teaching practice: One of the major focuses of the course is being able to put the theory presented in the input sessions into practice. There are 4 assessed teaching practice (TP) lessons amounting to at least 3 teaching hours. Lesson planning: Lesson planning is considered a significant factor to developing as a teacher. Although teachers would not normally be expected to write detailed lesson plans for every lesson they teach, the plans CPs produce for this course need to demonstrate their thought processes and show that they are aware of everything that is being presented to them. Written assignments: There are two written assignments, one on teaching materials and a self-reflection task, which are designed to show that CPs have an understanding of teaching principles and their own development. Portfolio tasks: Over the duration of the course CPs are asked to complete a variety of tasks and projects which are to be presented in the portfolio. These are related to the input sessions and reflect on teaching. Observations: Throughout the course the CPs will complete six hours of observations, including videoed lessons, observation of experienced young learner teachers and peer observations. 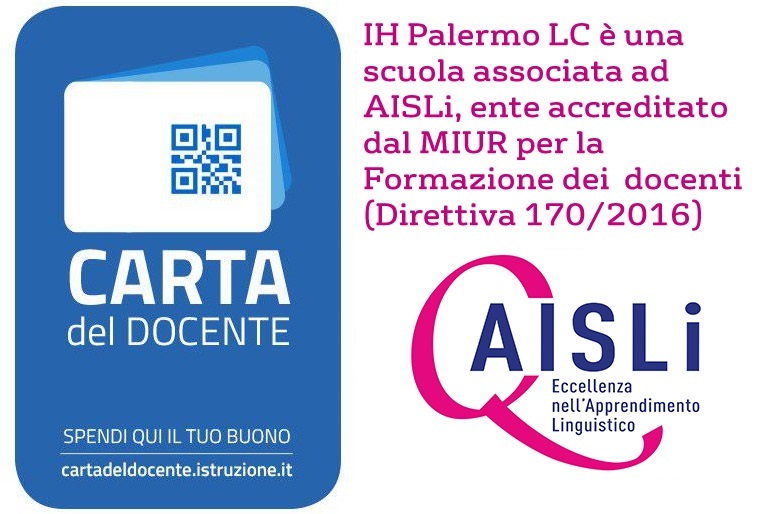 Lisa has been teaching since 2010 and has taught in Japan, England, Poland and Spain and is now working here at IH Palermo as our Young Learner Director of Studies. She's been involved with International House since the start of her career and focuses a lot of her teaching on Younger Learners. Lisa has been involved in teacher training, both in-house and at IH Conferences, for over 6 years and is both a CELTA tutor and an IHCYLT tutor, as well as an online tutor for IH World. She has a degree in English and Sociology, a Postgraduate Diploma in Careers Guidance and has completed her CELTA, IHCYLT, DELTA and IH Language Awareness Courses with International House.